You should have a first aid kit at home and in your vehicle. It must be revised frequently to ensure that it is complete and that medications have not expire. 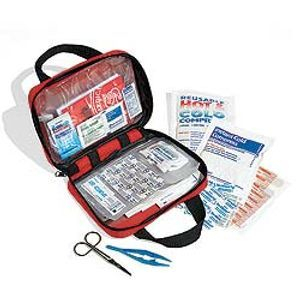 You can buy a first aid kit at any department or drug store, or you may do one yourself. The content should be kept dry in a closed box and out of reach of little ones. This is a general guideline as provided by the American Heart Association.